We accept online payments via PayPal and by check. Your payment must be received and paid in full in order for us to start your Custom Mix. We will begin producing your Custom Mix once your payment has been processed. We accept Purchase Orders for Custom Mixes. There will be an additional $100 Purchase Order Administration fee. We would need proof of confirmation and a signature before we can began producing your mix. 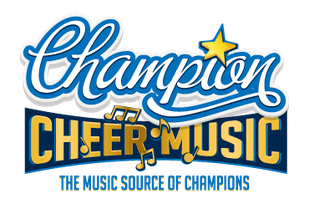 If your school or institution requires a W-9 and a quote please email us championcheermusic@gmail.com. Once we receive the necessary information we will begin your mix. We will then deliver your mix via email once it is completed. It will contain watermarks and we will retain the licenses until the invoice is paid in full and cleared. We will then send you your mix without watermarks and your licenses. In an effort to ensure we provide the highest quality and that you are completely satisfied we offer drafts and full open dialogue throughout the process of creating your mix. If at any point you are not satisfied we will offer a you a refund accordingly. This unfortunately has been abused in rare situations. We will offer a complete 100% refund if you are not satisfied upon receipt of your first draft. However, if there is positive documented progress and time put into the particular project your refund will be reduced at our discretion or similar fair and agreeable terms depending on the amount of the mix that has been completed. We are also not responsible for refunding the cost of licensed music that you may have purchased or that we purchased on your behalf but we will send you all of the files as well as the licensing documentation.